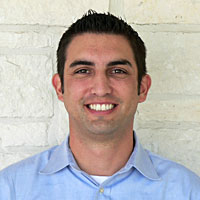 Jared Wahlberg is the Enterprise Applications Manager for the City of Cedar Park. 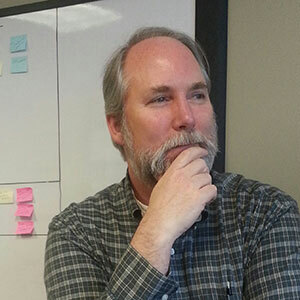 His team supports all of the City's enterprise software applications and database platforms including the City's mobile 311 application, GIS, Public Works, Public Safety, Financial, and HR systems. The Applications team also develops a number of custom web and mobile applications. Shaun served as Pref-Tech’s Vice President of Operations for four years before becoming the company’s President in 2009. Prior to Pref-Tech, Shaun served as an officer in the United States Army until he was Honorably Discharged in July of 2005. During his tenure he held various positions as a Field Artillery Officer stationed in Fort Sill, OK; Fort Carson, CO; and Fort Chaffee, AR. His service also includes a year of combat operations in Iraq. Shaun is a 2000 graduate of the United States Military Academy at West Point, a Security Systems News “20 Under 40” Class of 2016 integrator winner, and currently chairs the PSA Leadership Committee. Shaun and his wife of 15 years, Amanda, parent 3 boys ages 11, 9, and 7. Physical security is imperative. We must protect people and assets. As security systems mature, they rely heavily on IT infrastructure. You may be the security system owner, a major stakeholder, a system administrator, or a trusted advisor. Are you prepared to perform well in that capacity? In this session, Shaun Castillo, President of Preferred Technologies, LLC, will provide insights into physical security systems from a security integrator’s perspective. The audience will leave with a better understanding of physical security systems’ impact on IT, how security professionals think, and how to wisely invest in security technologies. Do you have a “to do” list at work? Have you ever added something to your “to do” list just so you can scratch it off? We discuss several techniques to manage your own personal workload. By the end of the session, you will have the necessary tools to get your work life in order and get stuff done. We will also explore ways to expand these concepts to your teams. Hannah Smith has been a Microsoft Gold Partner for the last 2 years. She came from the art world where she worked in client relations for large auction houses and museums for 5 years. Over the last two years she has been getting to know the ins and outs of Microsoft as a partner to help government agencies navigate the often-confusing ecosystem. Through this, she has been able to collaborate with teams from C-level executives to part time staff to design and implement programs to ensure the successful adoption of Office 365. We will cover what Microsoft has in store for Government entities over the next 5 years. This section will deal with new products, end of life products, and how to prepare and plan for these transitions. Obtaining licensing for government can turn tricky and expensive very quickly. We will discuss the different ways in which governments can buy cloud licensing while staying compliant and provide resources to ensure they are choosing the best route. Through real life case studies, we will discuss the different strategies used by governments to ensure a smooth deployment of cloud services as well as a successful adoption by end users within your organization. We will follow several different paths to highlight the importance of planning and structuring and give attendees some ideas to bring back to their teams.